Conveniently located inside the AtlantiCare Health Park in Hammonton and the AtlantiCare Health Park in Manahawkin, AMI AtlantiCare offers a full range of diagnostic imaging services using state of the art technology. Our goal is to provide you with unmatched technology, diagnostic imaging expertise, compassion, and genuine care. Our technology is constantly updated to ensure we offer today's most advanced and accurate technology and techniques, and we are committed to providing our staff with the tools and resources they need to provide excellent patient care. Tell us how we are doing. Online patient satisfaction survey. AMI AtlantiCare is an excellent resource for outpatient medical imaging services. 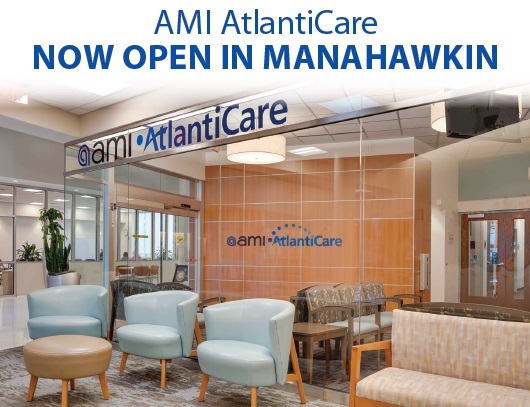 Conveniently located inside the AtlantiCare Health Park in Hammonton as well as the Atlanticare health Park in Manahawkin, AMI AtlantiCare offers a full range of diagnostic imaging services using state of the art technology. Our 42 board certified, sub-specialty trained radiologists and highly trained staff is committed to providing you with the finest imaging technology coupled with compassionate, caring service. Our 42 board certified, sub-specialty trained radiologists and hightly trained staff is committed to providing you with the finest imaging technology coupled with compassionate, caring service.